*Practicing in North Carolina pursuant to Rule 5.5(e) of the North Carolina Rules of Professional Conduct. Mike Miller is a Member, serving on Moore & Van Allen’s Corporate team. The focus of Mr. Miller's practice is representing domestic and international private equity and venture capital funds and companies in evaluating, structuring and negotiating mergers and acquisitions and investment transactions, including leveraged buyouts, growth equity investments, mergers, stock and asset acquisitions and sales, divestitures and recapitalizations. In addition to his work in the areas of private equity, venture capital and mergers and acquisitions, Mr. Miller has extensive experience representing and counseling public, private and emerging companies in corporate governance, incentive compensation and operations matters. He also has experience representing issuers and underwriters of equity securities in initial and follow-on public offerings. 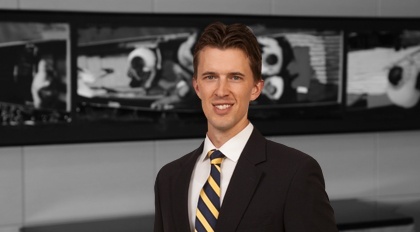 Prior to joining Moore & Van Allen, Mr. Miller was a senior associate with King & Spalding. Additionally, he worked for five years in New York City, primarily for Goodwin Procter LLP where he was a member of the Business Law Department and worked within the Private Equity and Technology Companies Groups. Prior to joining the firm, Mr. Miller represented private equity funds, financial institutions, alternative investment funds and operating companies (including portfolio companies), including Pamlico Capital, Roark Capital Group, Warren Equity Partners, EVE Partners, GSO Capital Partners, Capital Advisors, Goldman Sachs & Co., Citizens Bank, Wells Fargo, Regions Bank, Patagonia, symplr, Genova Diagnostics, Inc. and Consolidated Systems, Inc. in connection with mergers and acquisitions, acquisition financings, growth equity investments and recapitalizations, equity co-investment transactions and governance and operational matters. Mr. Miller also worked with and represented numerous publicly held companies in connection with mergers and acquisitions, public equity offerings and general corporate matters, including General Electric Company (NYSE: GE), Monotype Imaging Holdings Inc. (NASDAQ: TYPE), Intralinks Holdings Inc. (NYSE: IL), Concurrent Computer Corporation (NASDAQ: CCUR) and Inotek Pharmaceuticals Corporation (NASDAQ: ITEK).